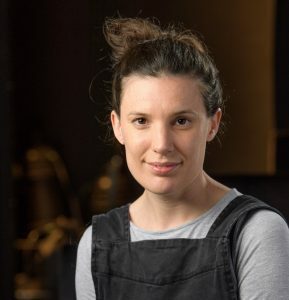 Ellen McDougall is Artistic Director at the Gate Theatre. Her first season saw her direct The Unknown Island in 2017. 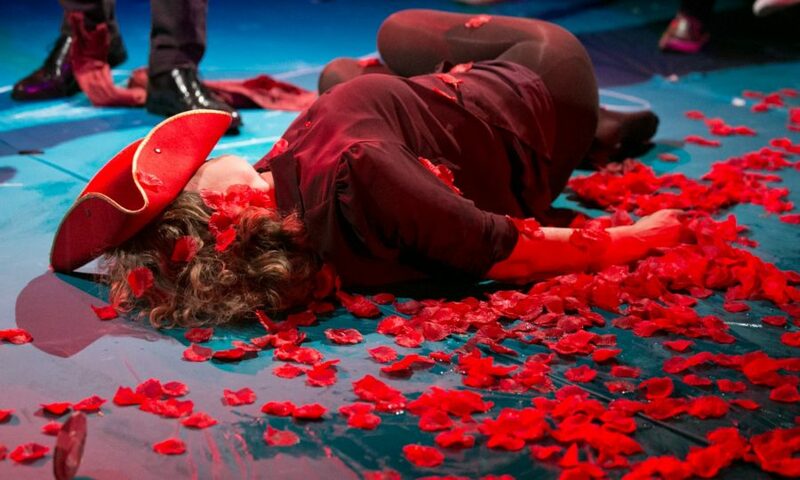 Previously she had directed Idomeneus for the Gate in 2014. Her credits include a critically acclaimed production of Othello at the Sam Wanamaker Playhouse at the Globe, the Lyric’s annual pantomime – Aladdin by Joel Horwood (2016) and Cinderella by Tom Wells (2015), The Rolling Stone (Orange Tree Theatre and Manchester Royal Exchange), The Remains of Maisie Duggan (Abbey Theatre, Dublin), The Glass Menagerie (Headlong), Anna Karenina (Manchester Royal Exchange), Henry the Fifth, Not Now Bernard, The Nutcracker, Antigone and Philoctetes (Unicorn Theatre); Glitterland (Secret Theatre/Lyric Hammersmith) and Ivan and the Dogs (Actors Touring Company/Soho Theatre). 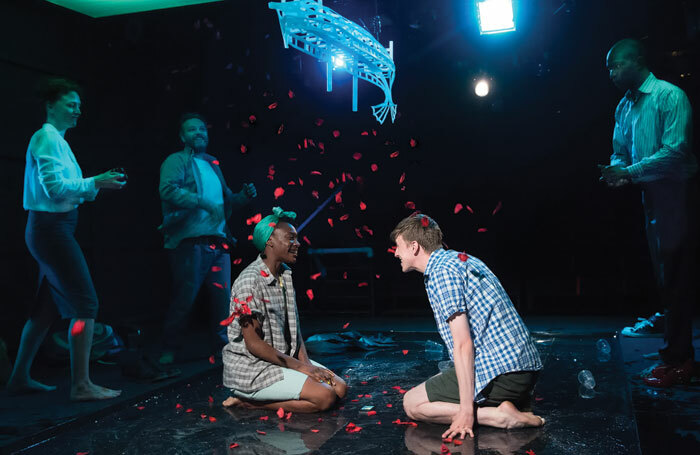 EM: Theatre for me is the idea of a group of people – who may not know one another – agreeing to gather at the same time and the same place to witness and interrogate what it means to be alive in some way. It is distinct from seeing art in an art gallery because of the time limit and the liveness of it. I find the original meaning of the Greek word helpful: it is linked to the idea of a seeing place where we gather to see things more clearly or question the way we see things. I think one of the things that I find exciting is the possibility of shifting the way people see the world, themselves and each other. We can do that by inviting people to watch something that interrogates some of the assumptions they might have. PC: What is the potential of theatre? EM: I think the potential of theatre lies in what happens afterwards to the people who were there. I mean there is obviously potential within what can be done on a stage or in a theatre itself and that’s a fun thing to play with as a theatre maker, but for me the point of it is about what happens afterwards. There’s a brilliant text by Peter Handke – Offending the Audience: I very nearly programmed it as the first production of my first season at the Gate but the title didn’t feel very welcoming! The idea in that text is that this piece is not a play – maybe there is no such thing as a play – instead this is a prologue to everything that happens after it. That felt like such a liberating and exciting thought, that actually what matters is what happens when we leave the room, that is where the potential is. PC: What makes the Gate distinctive? EM: The space is really intimate and can be reconfigured – and is reconfigured for every show. That means there can be no assumption about what will happen in that room or what constitutes a play because we re-imagine it every time. One of the things that I have said to other directors that have made work in the season is that you have to interrogate – or have to take a perspective on the relationship between performer and audience in that space. Other spaces like a proscenium arch are more fixed and that limits how you can explore that relationship. 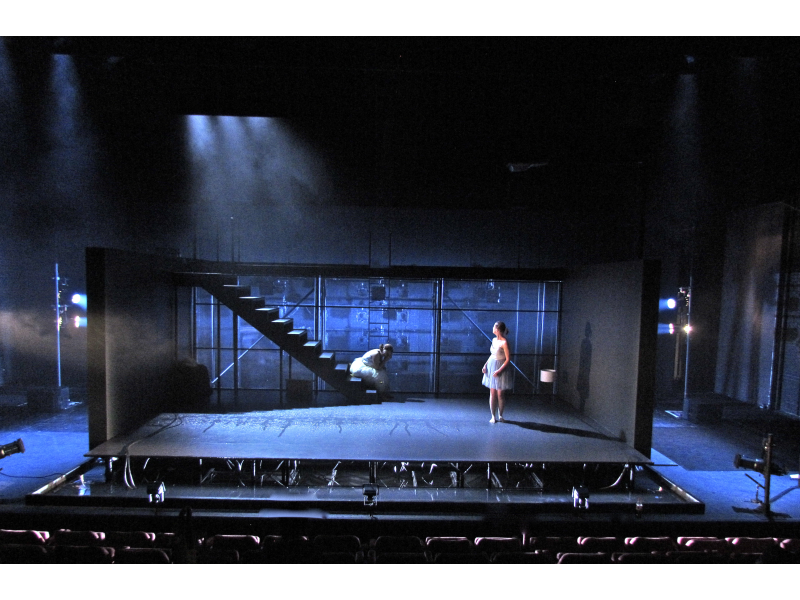 It is funny doing this conversation having just spoken about Sarah Kane making Phaedra’s Love here, so it is very present in my mind – but another thing is the radical experimentation that is somehow in the DNA of the building. Also, it was set up to produce international plays at a time that nobody else was doing that. The idea of collaborating across borders, with artists who have different assumptions about what theatre can be is very appealing to me. That is another way to interrogate and rigorously think about what our assumptions are about what should happen in a theatre. Peter Hall directed a European play called Cuckoos here and he wrote in his diary, and I am paraphrasing now, but something like: “I don’t believe that the other artistic directors that I wanted to do this play didn’t do it because they didn’t like it, they didn’t do it because they didn’t dare to and the Gate dares to do it.” I find the idea of daring to do something different enormously galvanising as I start my time here. PC: How is the current political climate a driver for you? EM: I think there is a culture of fear and a political swing to the right – certainly in Europe and America. Linked to that is a fear of difference and the idea of closing down borders and sticking with what we know. We’re drawn to living in our own isolated little bubble of who we think we are and I find that really depressing and problematic. It makes me angry. Theatre is about us understanding each other better and celebrating difference. It is a space in which we can recognise our common humanity and celebrate our differences. That has been a really important thing to respond to in the programming: to insist on international collaboration and insist that we look outside our borders. That feels like both a political and an artistic gesture in this moment in time. However, I also think that theatre can be a place where you have your world reflected back to you. There is something that can be very powerful about a theatre that is about validating experiences as well. 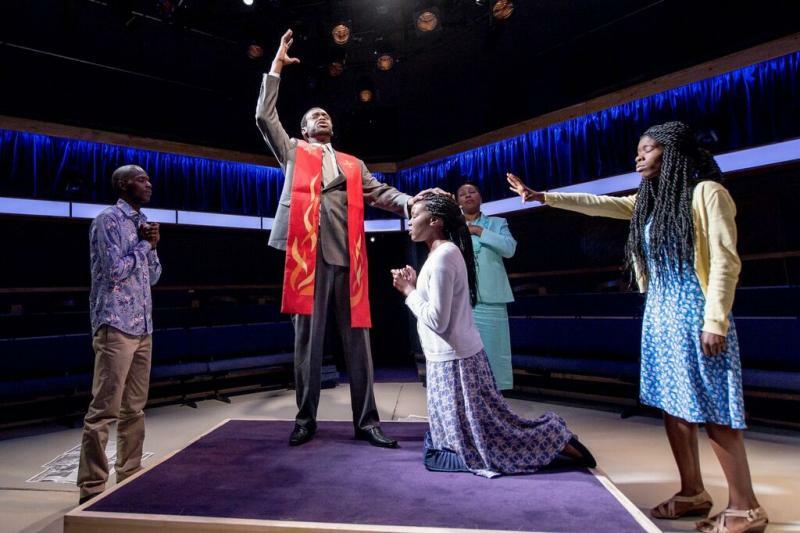 PC: How does the theatre make room for difference? EM: I mean, speaking as a director, I have always made work with actors and creatives who have a different perspective to me and I have always found that very useful. If you make the work within a more closed conversation it seems to me that it is less likely to be able to reach across the diversity of viewpoints that come to watch it. It’s better to have the rigorous conversations and multiple viewpoints in the making of the work. PC: How do you manage those differences as a director? EM: I think it is one of those things that is just in a room of intelligent, emotionally switched on people. You read a room quickly, you pitch your ideas and thoughts according to the people in the room and the different places they come from. I work hard on ensuring that I run a room in which every voice is given space and validity. PC: You mentioned that theatre is distinctive because of its liveness, how do you heighten the sense of liveness in your practice? EM: In both Idomeneus and The Unknown Island we made a game structure that allowed for a degree of improvisation within the form every night. It was quite a technical exercise to get there. I was very specific about what I wanted and what was possible but once they had learnt all of that they could play around with it. It was exciting to work with someone like Hannah Ringham on The Unknown Island. She is much more used to being herself on a stage and just talking directly to an audience in her own performance work. She said that in that kind of work whatever an audience do they’re never wrong: everything is welcome and everything is responded to with a kind of ‘yes and…’. Taking that into our game structure meant there was a real sense of a shared space where whatever is offered is okay. It wasn’t about trying to impose something where an audience feel that if they are offered something they have to take it: refusing was as valid as accepting. PC: What is your relationship with text? EM: It depends on the writer and depends on the play. I have definitely done plays where I was working to the letter of what the writer has written – and that can be incredibly freeing, actually. In the context of a new play like The Rolling Stone the director’s craft is very much about bringing that to life in the best way that you can. Other texts are more of an offer from a writer: here are some things that people might say. One of the things that I loved about making The Unknown Island was that we had a prose text and it was about making that feel like it had always been intended to be a play. We didn’t really change any of it, we cut one or two words here and there but we pretty much just told the story. The other thing about The Unknown Island that felt so important was the design of that show. What Rosie Elnile did with it as a dramaturgical gesture was as significant as a text. We covered the whole room in blue fabric with the idea being we were in an imaginary world and an imaginary space. In a way that contextualised everything that they were speaking about. So when we worked on the text with that space in mind, it felt like every sentence had brackets in front of it that went: ‘Just suppose…’. Just suppose this happens and just suppose we go here. One of the things that I loved about making The Unknown Island was that we had a prose text that was just a short story and it was about making that feel like it has always been intended to be a play. We didn’t really change any of it, we cut one or two words here and there but we pretty much just told the story. The other thing about The Unknown Island that felt so important in terms of that source material was the design of that show. What Rosie Elnile did with that as a dramaturgical gesture was as significant as a text. We covered the whole room in blue fabric with the idea being we were in an imaginary world and an imaginary space. In a way that contextualised everything that they were speaking about. So when we worked on the text with that space in mind, it felt like every sentence had brackets in front of it that went: ‘Just suppose…’. Just suppose this happens and just suppose we go here. PC: What is the relationship between form and content in your work? Do you look to discover meaningful differences between the form and the content? EM: For me the form is absolutely the content because it is about the experience that you have watching it. I think that theatre is more of a formal experience than it is a content experience – because of the fact of all of us being present with the actors – so the rules and structures about how that works – the form – are always present. I’ve always been drawn to formal experiments and the idea that you can go: this is also theatre and these are other things that can happen in this space. PC: How do you explore the content and the form in your early work on a play? EM: Obviously, you want to know what the play is about and what the questions are that the writer is asking. But more than that, I want to imagine what it would feel like as an audience. That’s really the equivalent of what genre or what form the play is taking: Are the performers speaking directly to the audience? Is there an assumption in the text that the actors’ presence is part of the show or is the writer asking for the actors to be invisible behind some characters? What is the stage picture that holds this text or this story? It is also really exciting to create or discover rules, and then to disrupt them. You can lead the audience one way and then find the moment to cut through that or to shift that. Henry the Fifth, by contrast, sets out the rules right from the start. Both the version that I made and Shakespeare’s version open with the Chorus (a single performer in this case) offering a proposal about form to an audience: we’re not going to stage a full war here, you’re not going to see people actually dying, but we’re going to ask you to imagine that happening. The Chorus offers the rules of how the story is told: this is your role as audience and this is our role as performers. In this case, it’s an explicit way of saying something that every show implicitly does in the first five minutes. PC: How do you create those moments of disruption for an audience? EM: In the The Unknown Island the text sets up a very clear idea about who is who: the first sentence is: “A man went to knock at the king’s door and said ‘Give me a boat. 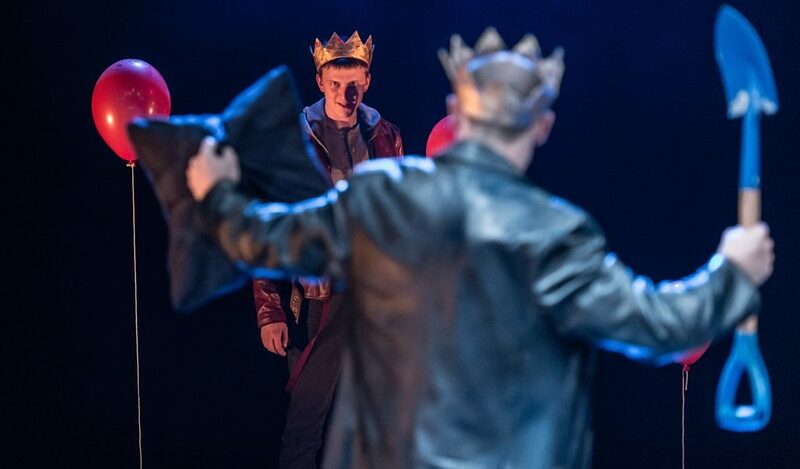 '” So the text introduces the idea of a man and a King – but the production disrupted the notion that those two people had to be played by men. It was always fluid who would be each character: the man who starts the show was played by everyone at some point in the storytelling. Those choices disrupted notions about identity being fixed. I find it fun and interesting to play with what is happening and what the expected rules are at different points. The form in which the audience is given the content allows there be multiple levels of interpretation. PC: How closely do you work with designers to clearly establish that form when it is perhaps not obvious in the content? EM: In this country we don’t really work with dramaturgs in the way that directors do in Europe but a lot of the work you do with a designer is very similar to that dramaturgical work. I think that designers are under-recognised as dramaturges: they are often being asked to conceptualise a show as well as “make it look nice”. It is an absolutely key and early conversation that you want to be having as a director. You collaborate on your response to the text or idea, and work out a way together to make that response visually available to an audience. PC: What stories do you want to tell and, as artistic director, what stories do you want to hear? EM: When I read a play or talk to an artist I get excited when it feels like we are asking questions about what is happening in the world. I think that there is a distinction to be made between that, and a kind of Political theatre with a capital P. I find it less interesting personally when a play is ‘about’ a topic or subject – when it feels as though it is wanting to educate an audience or give them some information they could also get in a newspaper, a book or on the internet. I get more excited by work that is absolutely connected to the emotional experience of theatre. I’m interested in theatre that asks questions about human experience. I’m particularly passionate about finding ways to talk about our relationship with nature and our connection with each other. PC: How do you leave an openness around questions you ask of an audience in the productions you create? EM: I think it’s about making an offer and asking a question rather than sealing up an answer and handing it over. I am excited about theatre that makes the audience work a bit, that goes – “Be an active participant in this conversation.” That said I think it is really important that it’s fun. It should be fun to watch theatre as well as all the other stuff.